Marking 20 years since the end of apartheid and the dawn of democracy in South Africa, two of the country's most renowned music icons and their guests are performing at Carnegie Hall this Fri., Oct. 10, at 8 p.m., part of UBUNTU: Music and Arts of South Africa, a series of fantastic performances the venue is offering through Nov. 5. If you're interested in seeing Hugh Masekela and Vusi Mahlasela along with guest artists Somi and fellow South African Dave Matthews, Afropop has two tickets that you can win with just an email to info@afropop.org with "Hugh and Vusi" in the subject line. 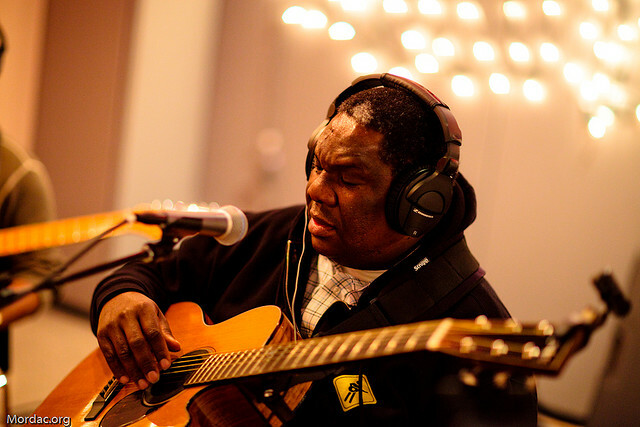 Vusi Mahlasela is a singer-songwriter and poet-activist who has performed on arguably the world's biggest stage, ringing in the World Cup in South Africa on a broadcast seen by an estimated one billion people. He also performed at Nelson Mandela's inauguration in 1994. A 21st-century troubadour, Mahlasela's distinctive vocals and lyrics are so well-known in his home country that they call him simply, “The Voice.” [caption id="" align="alignright" width="269"] Hugh Masekela performing at South African Arts Festival[/caption] Hugh Masekela is no stranger to New York, having studied trumpet at the Manhattan School of Music in the early '60s, but his five-decade career dates back to the very beginnings of South African jazz. 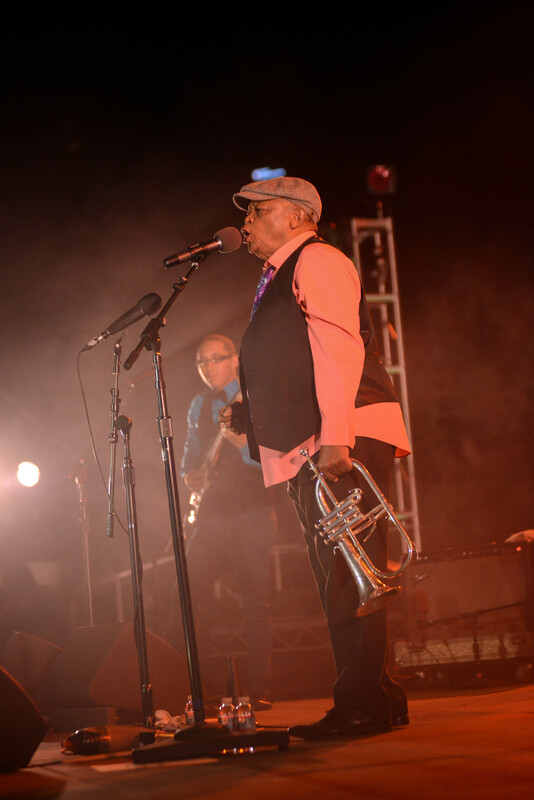 His 1968 Grammy-nominated hit single "Grazing in the Grass” made him an international star, and as a globe-trotting trumpet polyglot, Masekela also worked as an activist. During apartheid he raised international awareness of the government's restrictive policies, and in the 20 years since he has worked to preserve South Africa's musical history. Appearing at the inaugural South African Arts Festival in October 2013 Masekela was described by Afropop as performing with “the specific type of joy that only a king universally adored by his subjects can inspire.” Dave Matthews you may know from his role as a singer and guitarist in the Dave Matthews Band, and his label released the first Mahlasela full-length album that was widely distributed in the United States. Somi's latest album, The Lagos Music Salon, draws from 18 months in Nigeria, and is the highly anticipated follow-up to her album If the Rains Come First, which features her longtime mentor Hugh Masekela. We'll be doing more coverage of the South African festivities as they go down. So stay tuned for more interviews and features in the coming days!